Food Makers Worldwide Since 2006! Weekend Kits has been a longtime funky find! Over the years, Weekend Kits has continued to offer quality craft kits that cover many categories & appeal to crafters of all ages & skill sets. The biggest benefit of purchasing through Weekend Kits is that all the supplies can be found on one site versus wasting time driving around to multiple stores hunting for project supplies. I think it is so important to encourage the creativity in children. Weekend Kits makes it easy to provide youngsters with all the tools they need to complete a great project. 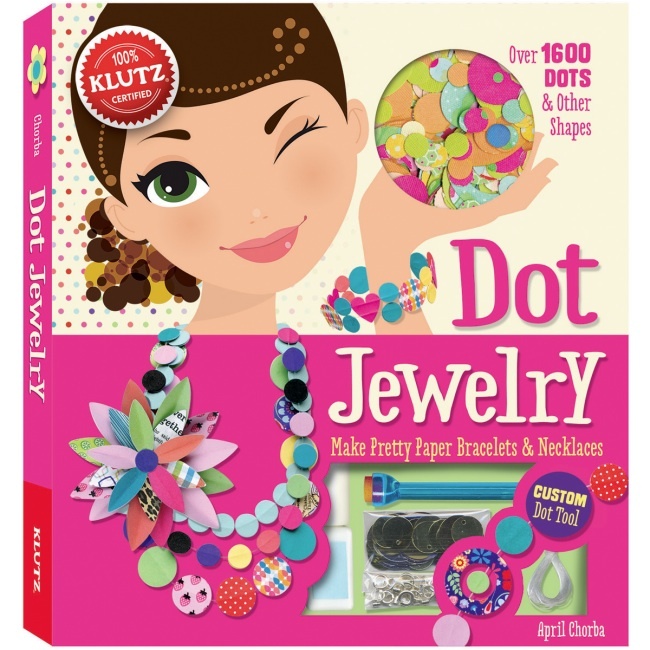 The Beaded Bands Bracelet Kit by Klutz Jewelry is one of the site's best sellers. Order one today...and while you're at it, treat yourself to a project kit, too! Happy crafting everyone!!! PRIZE: One lucky winner will receive a Tree Crewel Embroidery Kit, a 5-Inch Embroidery Hoop, and a pair of Mundial Embroidery Scissors from Weekend Kits. TO ENTER: Visit Weekend Kits & leave a comment on this post noting at least one craft kit you would like to have. that you have done so. ENDS: Sunday, August 4, 2013 at 6pm CDT. I would love to get the Crochet Kit for Kids - ALEX - Granny Squares Kit for my daughter. I would like to have the Jewelry Class in a Box! Jewelry Kit - Brights Glass. I would love the owl family wall quilt kit. I like all of the crewel embroidery kits. The owl is my favorite! I like Weekend Kits on Facebook. I like the Embroidery Kit - Easy for Beginners - Hedgehog Wall Art. That little hedgehog is too cute! I like the Simple Quilts - Quilt Kit for Beginners - Asian Blossoms. I love the Wall Quilt Homespun Stars kit so much I have liked it on facebook too! The plush animal sewing kit is adorable! I love that little owl, and these look like GREAT gift ideas! The Fabric Applique - Hand Embroidery Kit - Love Generously is amazing!!! i would like to have this kit! I liked weekend kits on facebook as Heidi Madsen Robbins! Love the hedgehog wall art kit. So cute! The baby quilt kits look adorable. I really love the Beginner Knitting Kit - Susan Bates - Learn Knitting! I like Weekend Kits on facebook! Katy A.
oh.. definitely love the Jewelry Kits.. all of them looks so stunning for a beginner like myself to Wow on.. I've liked the FB page. I would like the Ultimate Embroidery Kit for Beginners. I would love to try the Felt Ornament Kit - Cheery Tree Ornaments. I would love one of the Jewelry Making Kits! I like the Felt Christmas Ornaments Kit - Warm Hands..ciao4now64 at yahoo dot com. I like you on fb too.......mary fanara coleman......ciao4now64 at yahoo dot com. So hard to pick just one! I think the Quilt Kit! 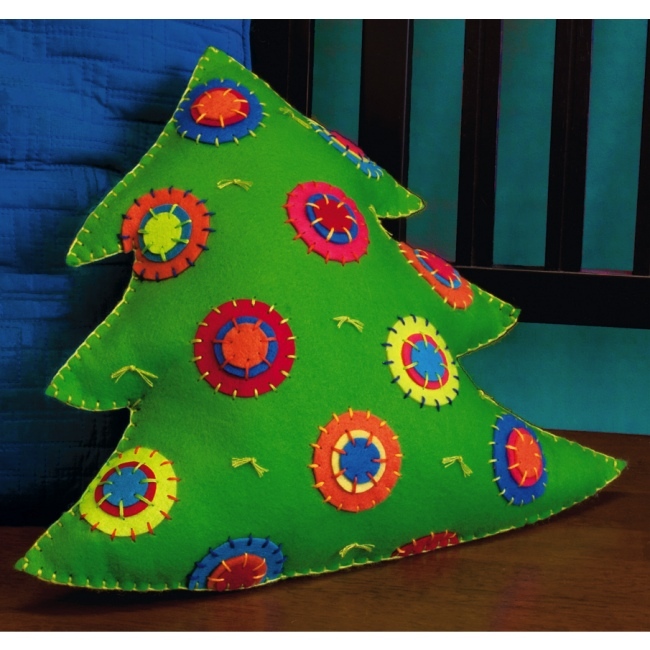 I actually love the Crewel Tree kit featured in the giveaway most of all, because it reminds me of a wall hanging my mom made when I was a kid. I also really like the Crewel Owl kit and all of the Chickadee counted cross stitch kits. I really, really like the Plush Owl sewing kit. I like you on facebook as well as Jenn Last. I'd love the Christmas Quilt Kit - Applique Wall Quilt - Snow Friends. I'd love to have the Crochet Kit for Beginners - How to Crochet DVD & Kit. I LOVE the Mill Hill Beaded Cross Stitch Kit - Mix It Up. It will look fabulous in my kitchen!!! I liked Weekend Kits on Facebook. 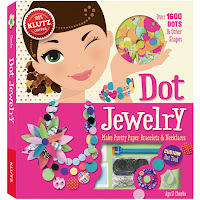 I would love the Jewelry Making Kit - Klutz - Friendship Bracelets. Thanks for the chance to win! I like: http://www.weekendkits.com/birthday-boy-card-making-kit.html and all the card making kits! I would love the Crystazzi jewelry kit! Christina - xristya@rock.com - I'd love to have the Baby Quilt - Cross Stitch Kit! I really like the Jewelry Making Kit - Crystazzi - Polished Impression - so cool! I would really like the Blue Finch tote bag kit. Liked them on Facebook, too. Would love this kids' crochet kit! would love this one: Simple Quilts - Quilt Kit for Beginners - Paisley Star. It would get me quilting! what beautiful kits you have. I would like the Plush Animal Sewing Kit. I would like the owl family wall quilt kit. i like this http://www.weekendkits.com/owl-family-applique-quilt-kit.html because i think it is pretty. i liked weekendkits on facebook and my facebook name is Alice Angels. I love these weekend kits. I really like the Jewelry Making crystazzi kit. I liked on FB and made a comment. I would like the Jewelry Kit - Black/Silver Chain. I would love the Jewelery class in a box! Pink and pearl! Thank you for visiting Funky Finds! feel free to contact us with more information regarding your work! They once were funky lost, but now they are funky found!